I have written often on this blog concerning truth and logic, and what my folks used to call "common sense and decency." I even wrote a series a few years ago outlining basic errors in logical argumentation and how to unravel them. I love logic, but I've got to say that by the looks of all the news I've been hearing lately, I am convinced that logic is becoming a rare bird. Here's a recent example of what I'm talking about. I read in the news about a man who ordered a hamburger with no onion at a fast food restaurant, and then called the restaurant to complain that they had put onion on his burger. They apologized and told him to come back for a free replacement burger. He then ate the burger and returned to the restaurant to get his free extra burger. When the clerk told him that he couldn't get another hamburger because he'd eaten the evidence, so to speak, he threw the cash register and a soft drink at her. Um...yeah....So, is this an illogical reaction? I think so. Logic has basic premises. We have to back up our arguments with proof, for instance (such as bringing the restaurant clerk the burger with onions clearly visible in it). We also have to behave in such a way that our arguments are believable and acceptable (not throwing cash registers, for instance). Logical points or reactions are equivalent in magnitude to counterpoints our counter-reactions (for instance, most people would just pick the onions off instead of getting deeply upset). We're talking about basic, rational, civil behavior here. What is going on in our society? The Bible predicts illogical or irrational behavior as a symptom of sin in a society. Proverbs has two such warnings: "The fear of the Lord is the beginning of knowledge: but fools despise wisdom and instruction" (Proverbs 1: 7 KJV), and "The fear of the Lord is the beginning of wisdom: and the knowledge of the holy is understanding" (Proverbs 9: 10 KJV). In essence, what the Bible is saying is that once belief in God is established, wisdom, knowledge, teaching, and understanding will follow. If you read it the other direction, however, it is saying that sound thinking (read logic, truth, common sense, and decency) will fly out the window once God is removed from the picture. If you want to restate this more simply, you could say that the presence of God brings peace and order, while the absence of God brings chaos. This is even generalizable, because the breakdown of law and order in civilization or logic in the individual mind often starts with defiance of the basic rules, and the rule-enforcer. Get rid of God, get rid of all of His rules, and you have anarchy, even anarchy in our thinking patterns. It is known that we have organizations and individuals in US society (and throughout the world) who are working to remove God from everything. The rise of illogical behavior is only a consequence, predicted well in advance for us to take heed. We (as individuals and as society) need God; the chaos without Him only underscores the need. The Bible points out this dependence on God when it says, "Man shall not live on bread alone, but on every word that comes from the mouth of God," (Matthew 4: 4b NIV). Truth and logic precede from the mouth of God--they are the hallmarks of His order--and bread which sustains our strength also comes from His hand. If we get rid of God, we are left exposed to the wrath of God, in an untenable situation where superior might is the only form of persuasion left to us, and even that fails without sustenance from God. It doesn't seem logical to ignore warnings or the one who sends them, especially when they come true. It doesn't seem logical to reject the one who is kind enough to warn of approaching danger. In fact, it isn't logical at all. So what can a Christian do about the death of logic in society? Illogic cannot be fought with logic (Proverbs 26: 4, 5); however, it can be fought with prayer, which is an appeal to a Higher Authority, asking that He demonstrate His authority again in the lives of those who have rejected Him. Only when God's authority is recognized in an individual heart can logic make headway there. 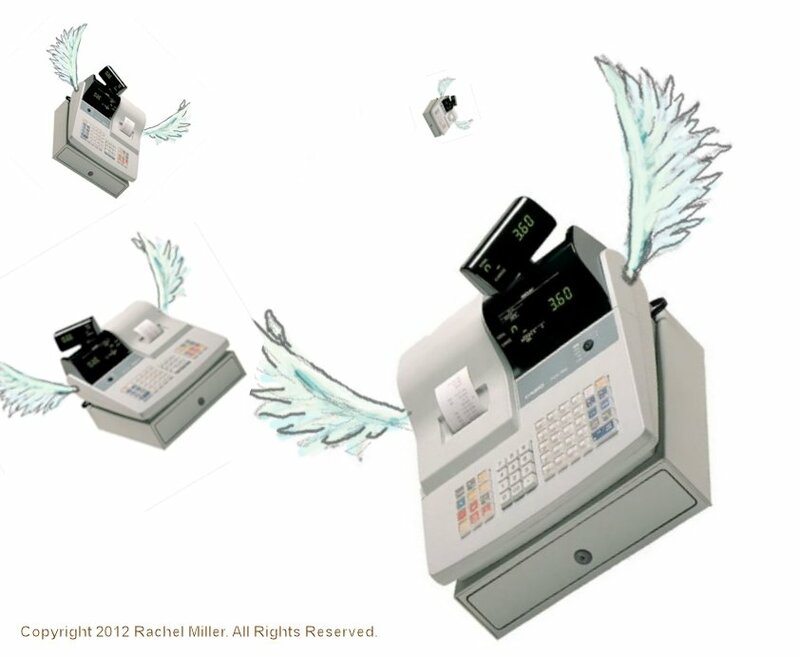 Otherwise, watch out for the proverbial (or literal) flying cash register. That's my point.